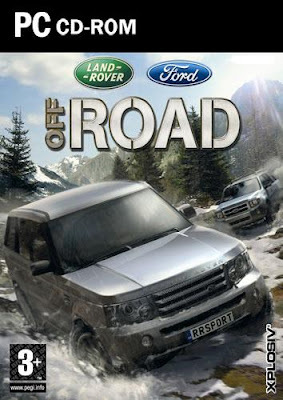 Race 18 of Land Rover and Ford's toughest off road trucks, 4X4's and SUV's through beautifully detailed environments, stunning scenery and wide sweeping tracks designed for tough, high-speed racing. With acceleration faster than any previous Ford game, real time, on-the-go vehicle damage repair and in-game pick -ups, the racing has never been this exhilarating! A mixture of oppressive, tight trails and open clearings - the player will be challenged by obstacles as diverse as fallen trees, rocky riverbeds, fast moving streams and lightly wooded areas. Enclosed rocky canyons and dusty desert trails are the main driving areas. Features such as steep hill climbs, narrow gaps and large boulders will challenge the player. Glacial carved ice caverns and rocky ice wastelands are the main features of this environment. Slippy, icy tracks make this environment unique and exciting.